Arriving to Langkawi without an accommodation pre-arraigned is like anywhere else; you might get lucky with a deal-of-the-day walk-in rate or you might end up in an inexpensive recommended guest house that may not be as convenient as you had hoped. 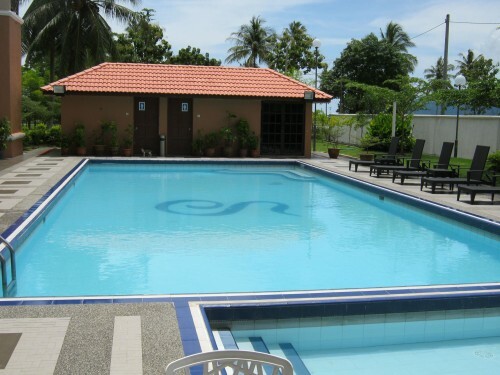 But just a short 5-minute ride from Langkawi International Airport you’ll find the Bella Vista Hotel, in the nearby seafront kampung area of Kuala Muda. This latest re-incarnation of a fabulous building. 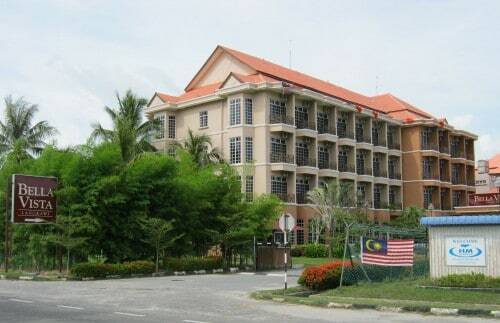 The building was formally used as the student quarters for the international flight school and before that a ‘hotel’ school in the early 1990’s. 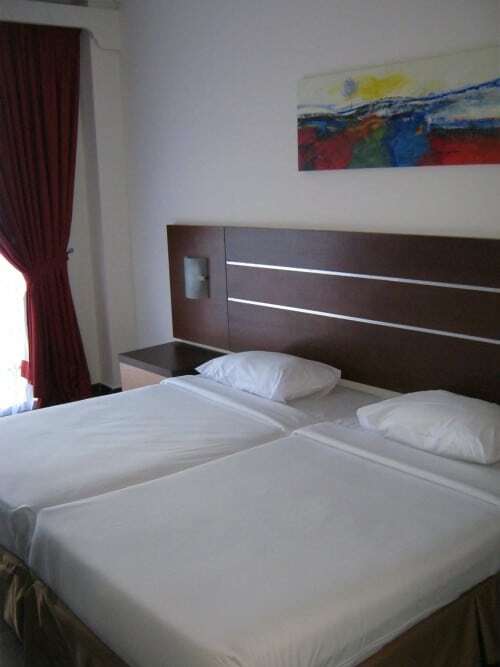 But with well thought out renovations it’s now been transformed into a comfortable, modern hotel with affordable rates. Most of the rooms have views of the surrounding sea, padi fields and mountains and the Kuala Muda location is just a short trek to a few local restaurants, a mini-mart and even a delicatessen. Cozy, yet roomy double bed option. 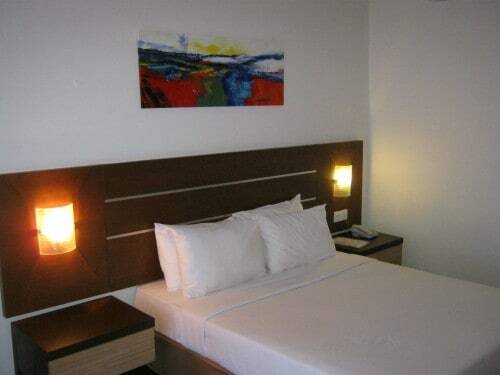 The rooms are simply furnished with a modern decor and equipped with practical amenities such as flat screen TV’s, modern bathrooms, hairdryers and mini bars. There’s also free WiFi in the lobby and restaurant. 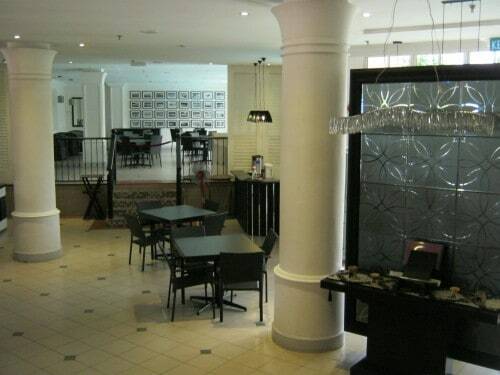 And surprisingly the rooms start at just RM150 per night including breakfast for two! They have a spacious lobby and dining room. The lobby is large and airy and spills over into their onsite restaurant, a few steps down, which overlooks their oh-so-inviting pool. The hotel has 71 rooms with two of them being junior suites, but aside from these being slightly larger and a tad more costly there isn’t much difference. Roomy enough for share options too. And with the hotel being located just across the coast road from the lagoon there’s often a nice on-shore breeze to cool the grounds and makes those little jalan-jalan (walks) quite pleasant. Prefer to ride? There’s a taxi stand just down the road near Four Points Resort, or the front desk can always call a taxi for you. Sea breeze AND a pool! You can also book sightseeing tours and charters from the concierge or front desk staff, with the convenience of being picked up at the hotel. Local hotspots Pantai Cenang and Telaga Harbour are also about equal distant north and south of the Bella Vista, making them economical as well as a convenient base of operations for any visitors to Langkawi. You can book the Bella Vista Hotel HERE.